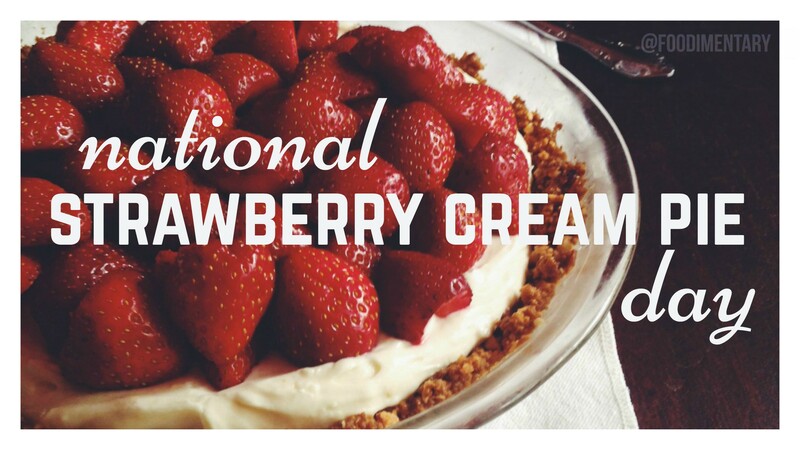 September 28th is National Strawberry Cream Pie Day! Artificial strawberry aroma is 3rd most widely used in food products. 1895 Louis Pasteur died. A French scientist, who showed that microorganisms were responsible for disease, food spoilage and fermentation. He developed the process for killing these organisms by heat, called Pasteurization. 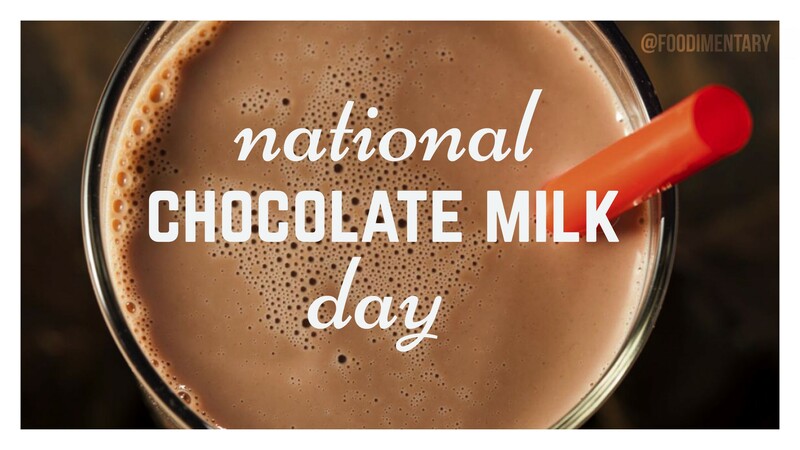 September 27th is National Chocolate Milk Day! Chocolate milk was invented in Jamaica! Chocolate milk is a sweetened, usually cold, cocoa-flavored milk drink. It is created when chocolate syrup (or chocolate powder) is mixed with milk (from cows, goats, soy, rice, etc). It can be purchased pre-mixed or made at home with either cocoa powder and a sweetener (such as sugar or a sugar substitute), or with melted chocolate, chocolate syrup, or chocolate milk mix. Other ingredients, such as starch, salt, carrageenan, vanilla, or artificial flavoring may be added. Chocolate milk should always be refrigerated like plain milk. Blending the two flavors (milk and chocolate), hence the name of the mixed drink..
1892 The Diamond Match Company patented book matches. 1938 The ‘Queen Elizabeth,’ the largest passenger liner of its time, was launched in Scotland. The world’s largest floating restaurant. 1947 ‘Bread and Butter Woman’ was recorded by Danny Kaye & the Andrews Sisters. 1947 Musician Marvin Lee Aday, ‘Meat Loaf’, was born. The dish is named for the small Key limes that are naturalized throughout the Florida Keys. Unlike regular lime juice, Key lime juice is a pale yellow color which combined with the egg yokes results in the yellow pie filling. Many claim that Key lime pie was invented by botantist Jack Simons. On July 1st, 2006 both the Florida House of Representatives and the Florida Senate passed legislation selecting the “Key lime pie” as the official pie of the state of Florida. 1777 John Bartram died. An American botanist, and considered the ‘father of American botany,’ he established a botanical garden in Philadelphia in 1728. 1877 Victor Shelford was born. An American zoologist and ecologist, he was one of the first to treat ecology as a separate science. He was active and influential in several ecological organizations, including the Nature Conservancy formed in 1951. 1903 Italo Marchiony applied for a patent for an ice cream cup mold. Initially, he would fold warm waffles into a cup shape. He then developed the 2-piece mold that would make 10 cups at a time. (The patent was granted on December 15). 1955 The first British commercial TV station began broadcasting. The first advertisement was for Gibbs SR toothpaste. 1967 The Queen Mary began her last Atlantic crossing. 1982 First Farm Aid Concert was held at Champaign, Illinois. 2002 William Rosenberg founder of Dunkin’ Donuts died. 1. It takes around 2 1/2 pounds of grapes to make one bottle of wine. 2.Before corks were broadly used in wine bottles, wooden stoppers wrapped in oil-soaked rags were common. These would need to be changed at least once a year. 3. Even though corks were commonly used since the 1600’s it wasn’t until 1795 that the corkscrew was patented. Before then the corks would have caps, similar to champagne corks.